The dual independent weigh stack system provides dedicated resistance with true isolated movements. Core stability training can lead to improved balance and coordination. 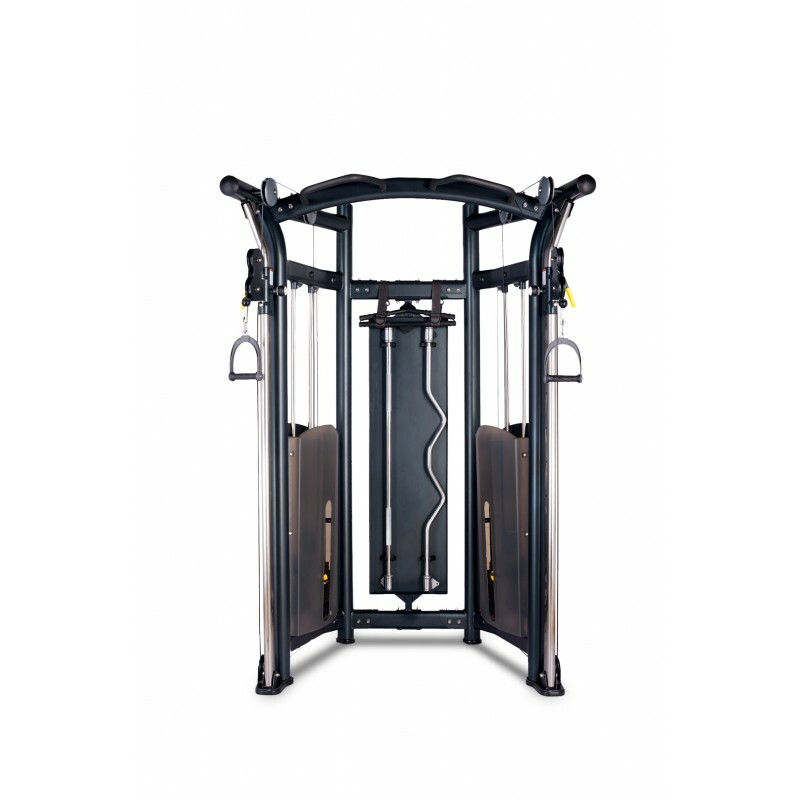 By efficiently working your body’s stabiliser muscles from a limitless number of exercises, the YH-005A Functional Trainer offers strength-building results to users of all sizes. Unrestricted multiple planes of motion approximate the muscle activity required for many of the activities you do in everyday life. The BodyworX Free Weight Series functional trainer features ergonomically designed adjustments and interchangeable cable handles engineered to put hundreds of strength-building exercises within your grasp. With a space-saving footprint, dual independent weight stacks, user-friendly ergonomics and adjustability and precision-fitted components; the YH-005A Functional Trainer is unbeatable value in today’s advanced fitness market. Buy Commercial Functional Trainer online. If you are interested in the Commercial Functional Trainer for sale, feel free to enquire above.